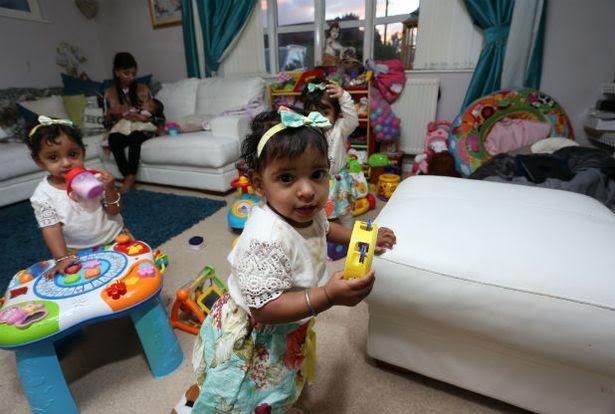 32-year-old Lytina Kaur, a former housing officer, who was told she could never have children, has had four daughters within nine months of each other and they are not all twins! 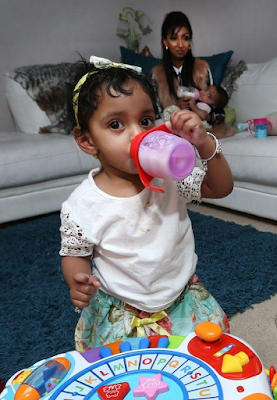 Lytina who was diagnosed with acute myeloid leukaemia, an aggressive cancer of the white blood cells, at the age of 17, was told that she could not have children after she had a bone marrow transplant. 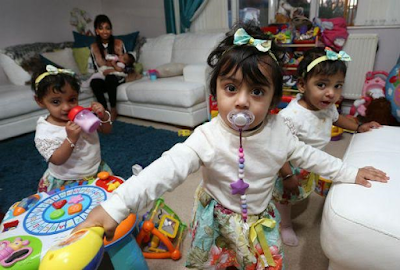 In the years to follow she suffered 17 miscarriages, but now, aged 32, she has four daughters. When she got married in 2007, at age 23, Lytina became worried about being unable to have children after having several miscarriages, the first of which happened in 2010. Her first pregnancy was a set of male twins which she miscarried at 17 weeks. Lytina who worked for Nottingham City Homes said she was devastated when this happened. She tried IVF which was unsuccessful. 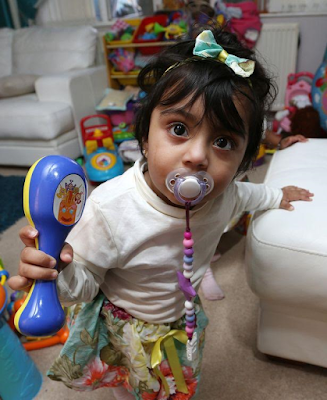 She also tried adopting but could not find a suitable Asian child so she and her husband opted to try surrogacy. Six attempts made by an Indian hospital to implant an embryo into a surrogate failed all times and the couple gave up. However, in February 2015, Lytina found out she had fallen pregnant naturally. She gave birth to her first daughter, Kiran in September 2015. Two months after, her twins, Kajal and Kavita, were born to a surrogate mother in India. And in June 2016 Lytina welcomed another daughter, Kiyara, at the Queen’s Medical Centre in Nottingham, UK.